Each and every feature has been designed and put in place with a lot of precision and thought process behind it. Congrea understands the changing world of education and fulfills all the requirements to achieve successful learning experience. Congrea brings in a seamless whiteboard experience with an extremely lightweight and responsive thinkpad to shape your ideas. It has a powerful toolbar that aids in explaining your concepts in a pictorial manner. One stop to share all the different varieties of your documents, may it be a presentation, word file or even a pdf document, Congrea lets you share all of it (.pdf, .ppt, .docx, .gif, .txt, .xml, .pptx, .doc, .jpg, .png and much more) at a single place. In addition, you can share multiple documents which can be managed and re-sequenced for annotation. 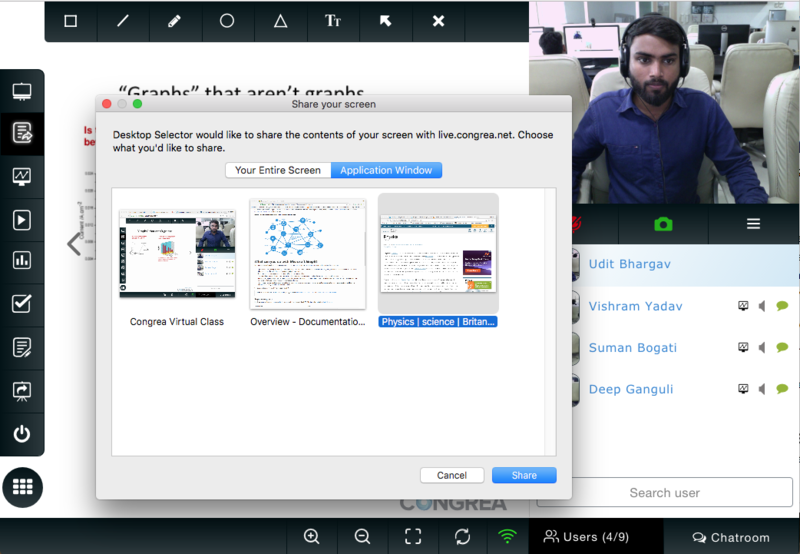 Congrea lets you share any online video during the classroom session. Just add the Video’s URL and have a self paced video sharing session. It even allows you to share high quality youtube videos. You can add multiple videos, and hide the ones that are not required during your session. Not just simple screen sharing but high quality image based screen sharing wherein, you have the choice of window that you want to share. Just add a desktop selector on your system and share the screen whenever required during the class. 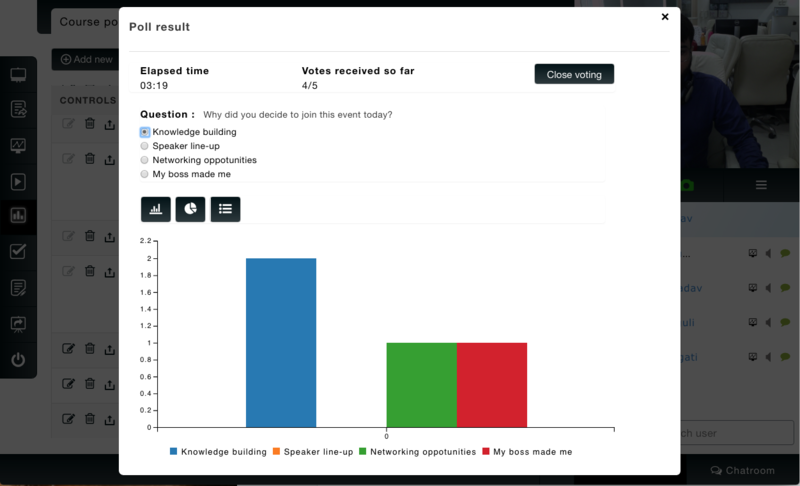 Analysing the opinions was never been so simple, conduct a poll anytime during the classroom session. Congrea allows you to have a real time result of the poll in graphical as well as in the textual format. You can also save the result for your further usage. Involve your participants in an interactive session by running a quiz on your Congrea along with other LMS such as Moodle. 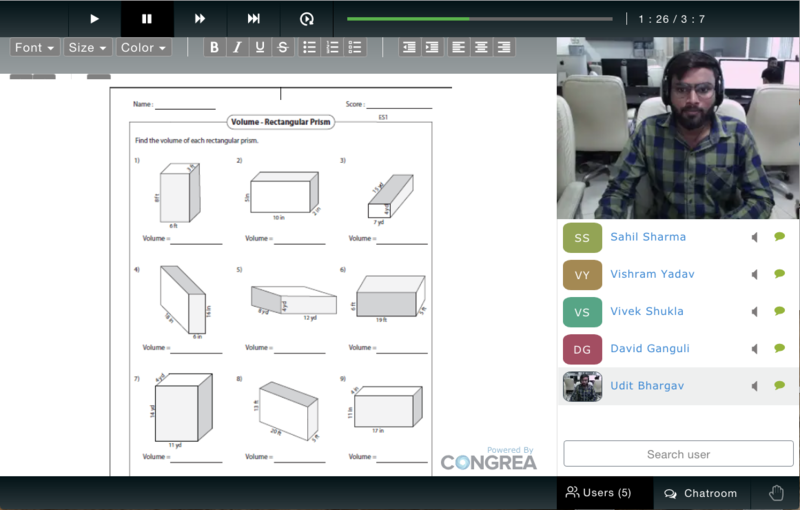 Import quiz from your current LMS and assess the learning and knowledge of your learners. Want to make your session more interactive? 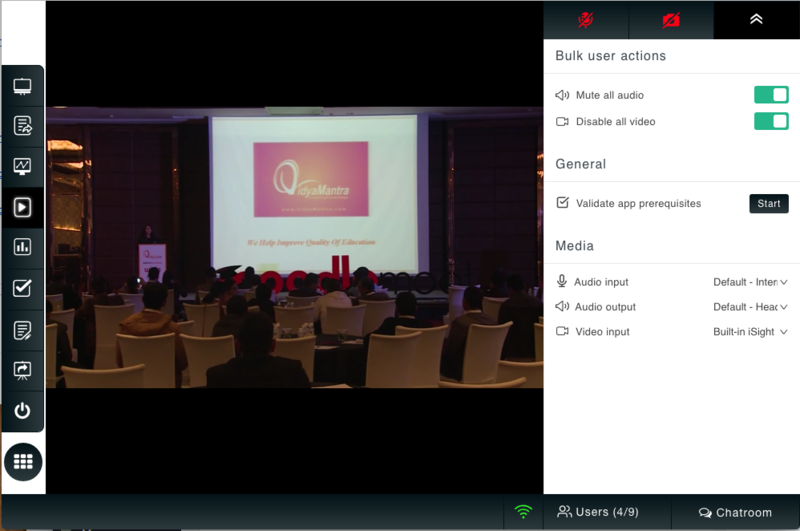 Just enable your camera and microphone and enhance the user involvement by imparting your knowledge directly through your live video. 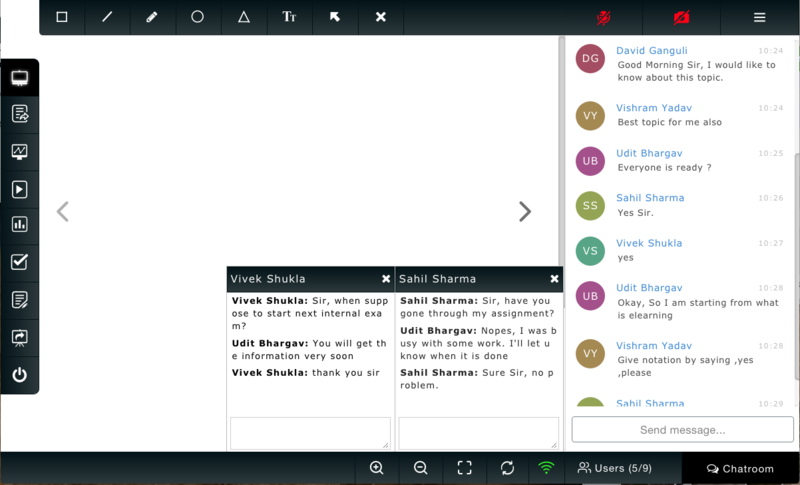 Engage your learners through a collaborative text editing session wherein, the content is synchronised in real time. 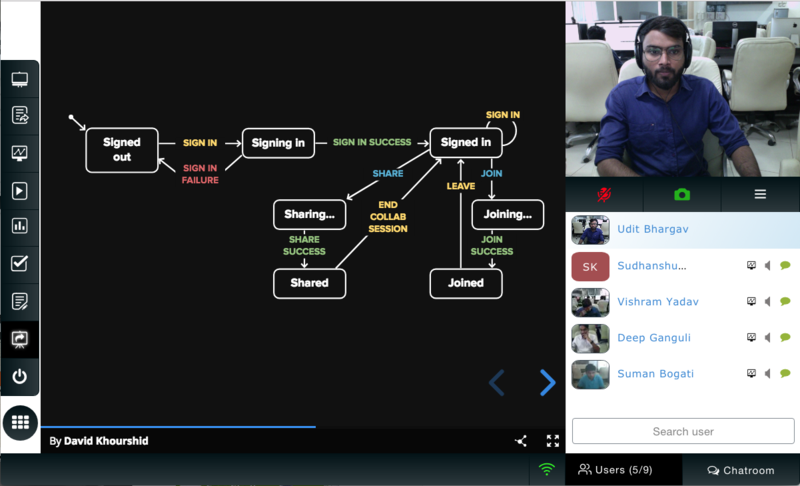 You can have a selective user engagement along with an easy recognition through the notification of usernames. 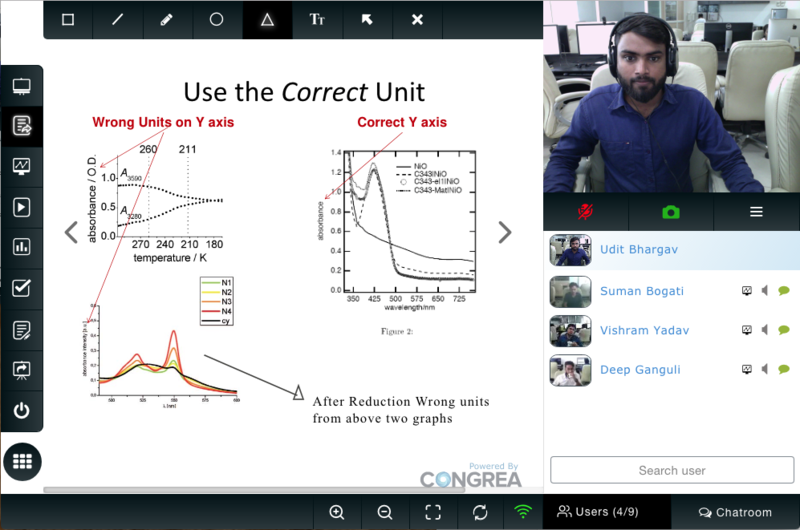 Share high quality online presentations hasslefree through Congrea. Use the URL of your HTML5 presentation and share it anytime during your class. 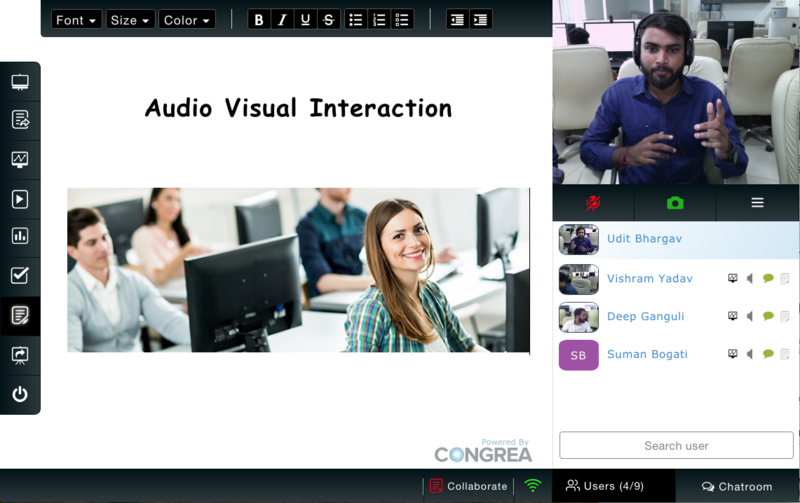 Want to discuss something really important during class, Congrea understands the need of private as well as public chat and enables you to interact with your fellow participants during the session. Through with a session? Wanna save it? 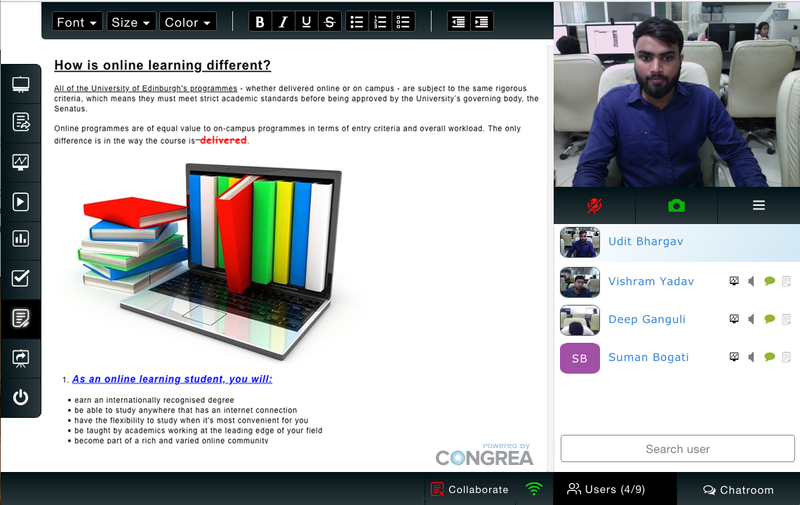 Well Congrea allows you to record and save your session for further self paced learning of your learners. We never compromise with the quality and same is applied on our recorded sessions. Is that it ? Well not really ! 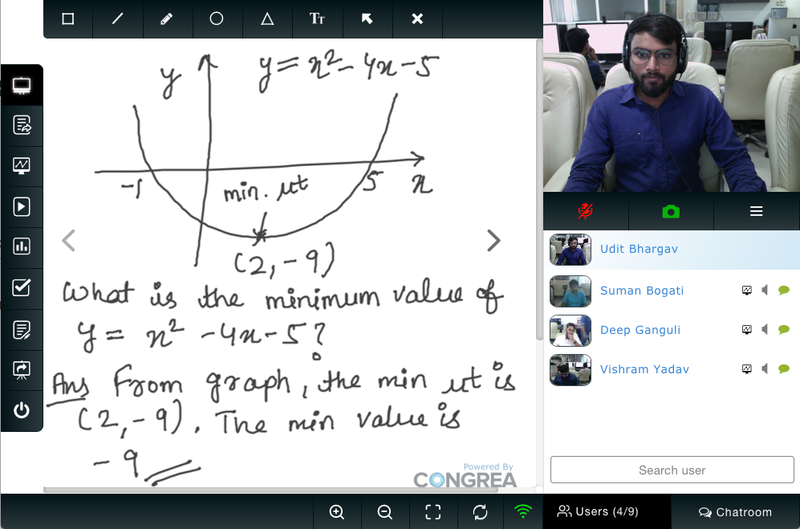 Specifically curated for learners to clearout their queries during a session.